According to the 2012 Mercer Cost of Living Survey, Singapore is the sixth most expensive city in the world, and second only to Tokyo as the most expensive location in Asia. Among the global financial capitals, Singapore trails well above London (no. 25) and New York (no. 33) in current Mercer rankings. To date, personal and business expenditures continue to escalate in the Lion City. With this in mind, Singapore’s working population is increasingly becoming more concerned about retirement planning. Some of the prevalent issues include: In the sunset of their years, how will seniors pay for medical and personal expenses? Is the Central Provident Fund (CPF) sufficient to cover day-to-day costs? What are the other retirement options available to Singaporeans? 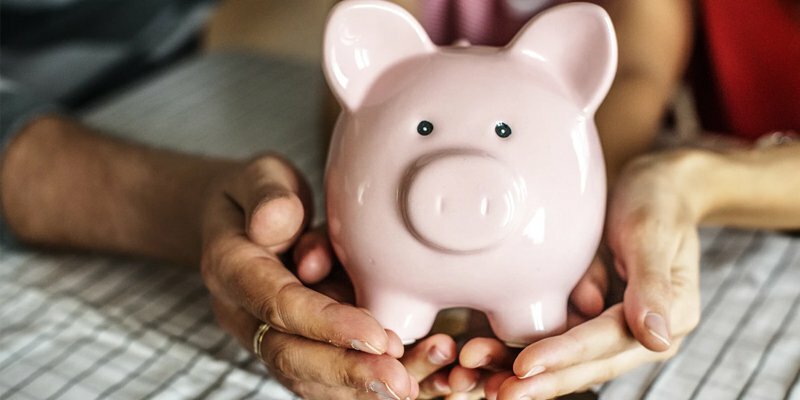 In response to the above, Singapore incorporation specialist Rikvin puts the spotlight on the Supplementary Retirement Scheme (SRS), a government managed long-term savings program over and above the Central Provident Fund (CPF). What is the Supplementary Retirement Scheme (SRS)? The Singapore SRS, or Supplementary Retirement Scheme, is a voluntary government-managed long-term savings scheme. It aims to encourage individuals to save for retirement in addition to compulsory CPF savings. The scheme allows participants to contribute various amounts up to a certain cap. Singaporeans and permanent residents may contribute a maximum of $12,750 per annum; whereas foreigners have an annual cap of $29,750. What are the benefits of the Supplementary Retirement Scheme? 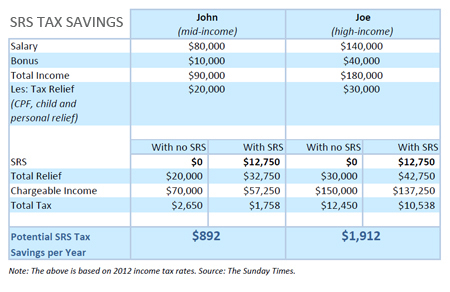 Unlike the CPF, the SRS does not give a fixed 2.5% interest rate on savings. Instead, it offers attractive tax benefits which can translate to a substantial amount in savings for individual participants. Each dollar contributed to the SRS reduces the contributor’s chargeable income by a dollar. In other words, the tax relief given to each individual is the actual SRS contribution he/she made in the preceding year. In addition, the contributions can be used to purchase various investment instruments, the returns of which will be tax-free before withdrawal. Tax relief will be automatically granted based on information given by SRS operators – DBS Bank, OCBC Bank, and United Overseas Bank (UOB). What are the disadvantages of the SRS scheme? One major disadvantage of the SRS program is that it is primarily intended to be a long-term savings scheme. As such, penalties and taxes are imposed on premature withdrawals. However, if the contributor withdraws the SRS only after the statutory retirement age of 62, he/she will be given a 50% tax concession – i.e. only 50% of withdrawals are taxable. In gist, the Supplementary Retirement Scheme is a practical tool that will allow Singapore’s working population to save up for the future. Through attractive tax break, the SRS accrues significant cost savings for individual contributors. In addition, it remains a viable supplement to existing forms of retirement planning and long-term savings programs. The Supplemental Retirement Scheme is part of the Singapore government’s strategy to address the financial needs of an ageing population by helping Singaporeans to save more for their retirement. It was first introduced in 2001, and is currently operated by the private sector. The SRS is intended to complement the Central Provident Fund (CPF), which are meant to provide for housing, medical, and basic living needs after retirement. Unlike the CPF scheme, which is compulsory for all citizens and permanent residents, the Singapore SRS is voluntary. SRS members may contribute a varying amount to SRS up to a certain cap at their own discretion. The contributions may be used to purchase various investment instruments. Although the SRS does not offer a fixed interest like the CPF, the SRS offers attractive tax benefits. Contributions to SRS are eligible for tax relief, investment returns are accumulated tax-free and only 50% of the withdrawals from SRS are taxable at retirement (referred to as a “50% tax concession”). For more information about the SRS, please visit the Ministry of Finance SRS Guide. Need more information on personal taxation? Consult our taxation specialists who will run through Singapore personal tax rates in detail with you.